Part 1. Is Spotify A Legal Way to Stream Music? Part 2. What's the Principles of Spotify Operations? Many of us who always use Spotify to stream music will be concerned about the question that is Spotify legal to stream music. The answer is Yes! Spotify is a completely legal way to stream music and you can access many other services for free. Spotify is a service that offers access to over 20 million songs for free. Spotify works by providing the listener with legal access to a large variety of music. There are free and paid options to use Spotify’s services. Spotify operates by making agreements with many different record labels to access their catalogues. Those agreements allow Spotify to give you, the listener, access to a large variety of music available for legal streaming. All the music on Spotify is there with the agreement of the record label. So you can use a Spotify recorder to download music from Spotify for free. It is no secret that the music industry has faced numerous challenges in the last decade because of the rise of pirated music. 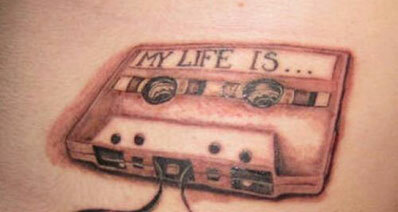 Because of the internet, there has been more access to illegal music than ever before. Many listeners have stopped purchasing music and instead have chosen to illegally download it as a way to save money and because it was so easy to do. This has obviously hurt the music industry and left them with the problem of how to get consumers to stop illegally downloading music. Spotify was created as a way of solving this problem. The idea behind Spotify was that if consumers were presented with a free, legal alternative to downloading music they would choose that and stop illegally downloading music. The numbers seem to agree because since the creation of services like Spotify, illegal downloading rates have dropped drastically. Most people do not want to break the law; they just let temptation get the better of them. However, when given a free, legal option or access music, most people will choose that, which decreases online piracy. Spotify operates by allowing consumers to log in and stream music from Spotify’s extensive catalogue. Spotify offers different options for membership, a free membership as well as a premium one. Joining Spotify allows members to stream music online, similar to an online radio station except the listener has more control. With the free membership, Spotify does include ads in the content, as the ad revenue is what allows Spotify to offer some services for free. Spotify’s premium service allows the customer more options and ad-free content. The premium service allows members the option of being able to temporarily download songs to their device and listen to them offline, which comes in handy if you are going to be without internet access for a short period of time, but still want to access great music. Spotify’s premium service is available for the low price of $9.99 a month. Spotify was created as a way to try and stop the illegal downloading of music. Spotify’s primary operating principle is that if legal access to free music is easily available, then consumers will choose that option and will stop illegally downloading their music. Spotify’s goals have been to give consumers a free and legal option for streaming music and to help battle music piracy. So far Spotify has been very successful in their goal and has built a strong customer base across the globe. Many of the customers who were attracted to the free membership option have become premium members, which helps Spotify grow and benefits the music community. Spotify has become a great, legal avenue to access a large variety of music. Spotify is changing the way online access to music works, one listener at a time. If you want to record music from Spotify easily and enjoy them anywhere anytime, You can try iMusic. 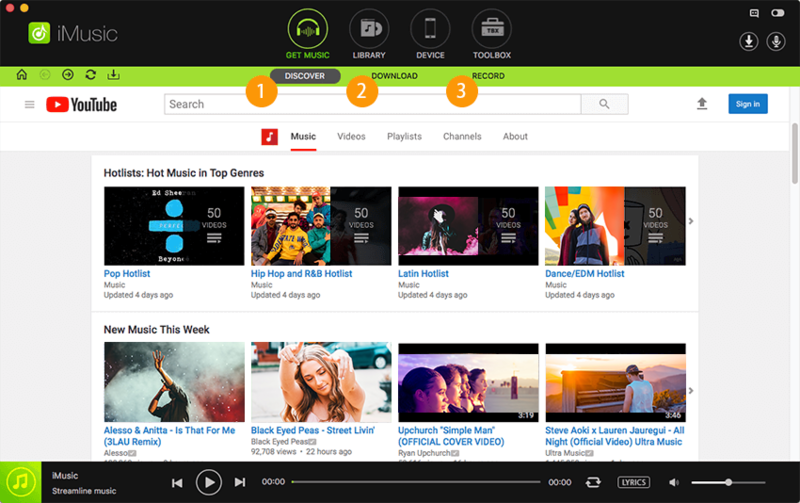 It offers all the features you need to download and enjoy Spotify music. Download selected songs from Spotify by copying and pasting the URL of these songs. 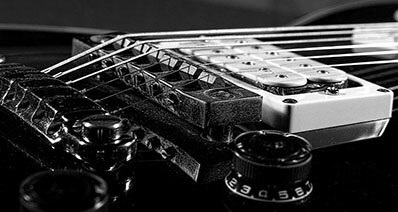 Record music from thousands of music sharing sites and radio stations. Identify music and get music information, cover, album, singer, and ratings. Transfer music freely between iTunes/computer and iPhone, iPad, iPod and Android devices. Step 1: Download and install iMusic on your Mac or Windows computer. It's fully compatible with almost any Windows and Mac OS X. Launch it and click the "GET MUSIC" on the top of the software. 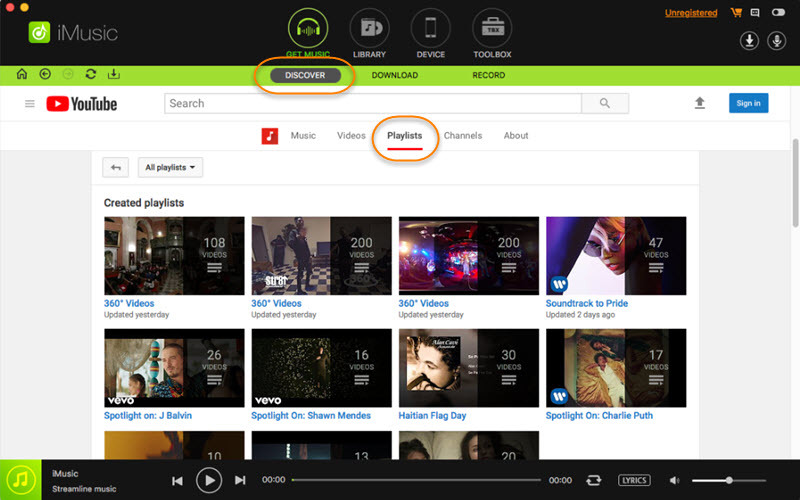 From there, there are 2 options for you to download Spotify music for free. Option 1: Click "DISCOVER". It is the quick access to the iMusic built-in music library. From there, you can filter the hottest Spotify music by genre, artists, playlist, and even top list. After find the one you need, click the download icon beside the song to download to your iTunes library directly. Option 2: Click the "DOWNLOAD" tab in the GET MUSIC window. 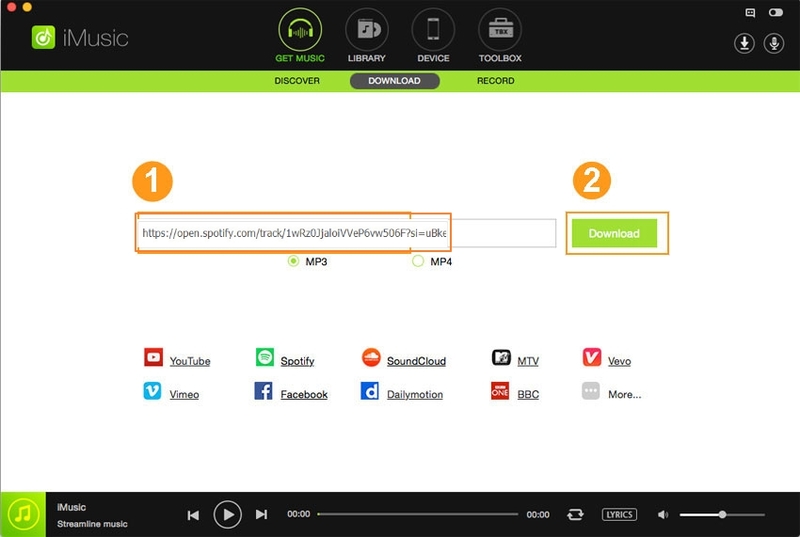 From there, you need to copy and paste the webpage link of the Spotify song to the box and click "Download". In a few seconds, the download process will be finished. Then you can go to the "LIBRARY" to preview the downloaded song.